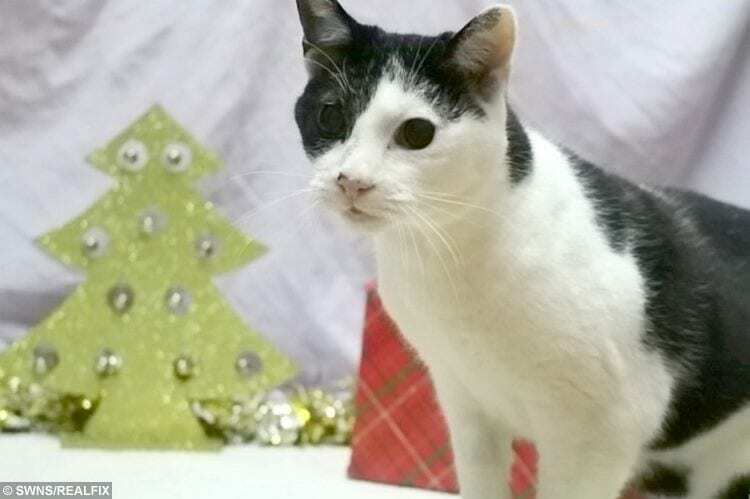 A cat and his mum are looking for a home together this Christmas, because he is deaf and she is blind. Rachel and Ross were taken into the care of the RSPCA after locals became concerned that the elderly moggy and her son had been abandoned in the freezing cold weather. The care centre staff, in East Grinstead, West Sussex, named them after two of the main characters in the TV show Friends. A local family grew concerned when they spotted terrified Rachel bumping into walls in their garden and saw Ross with nasty wounds on his ears and called the RSPCA to come a collect them to save them from the freezing condition. 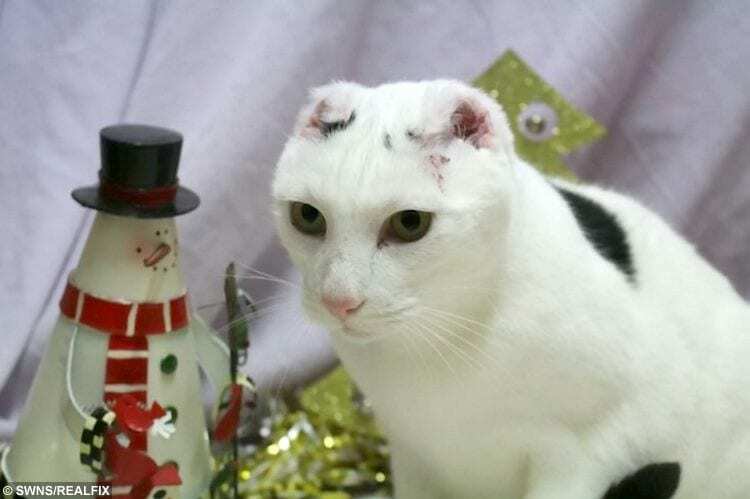 Ross has had to have both of her ears amputated due to skin damage sustained after being abandoned and now sports a bald head, leaving his inner ears intact. Rachel has lost the sight in both of her eyes and is around 13, meaning she is one of their ‘golden oldies’ and needs a loving indoor home with plenty of cosy corners to curl up in. Ross has become his mum’s eyes and is rarely away from her side, so the two feline friends will need to be homed together for Rachel to live out her twilight years. 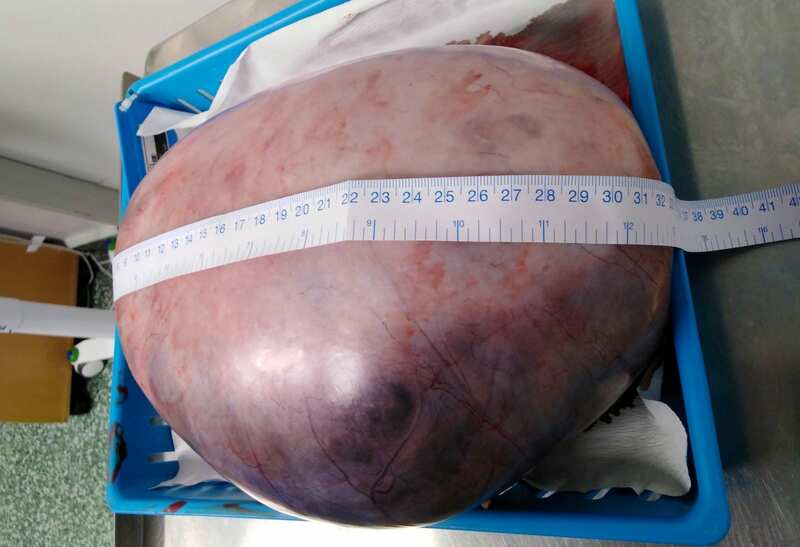 Louis Horton, the RSPCA officer who rescued the pair, said: “Residents were worried about the cats’ welfare as they feared the female was losing her sight and the male had some nasty wounds on his ears. “It’s not clear whether the cats had been dumped locally or were feral felines who were facing some health problems. “They weren’t approachable so I laid some traps and was finally able to catch them both. 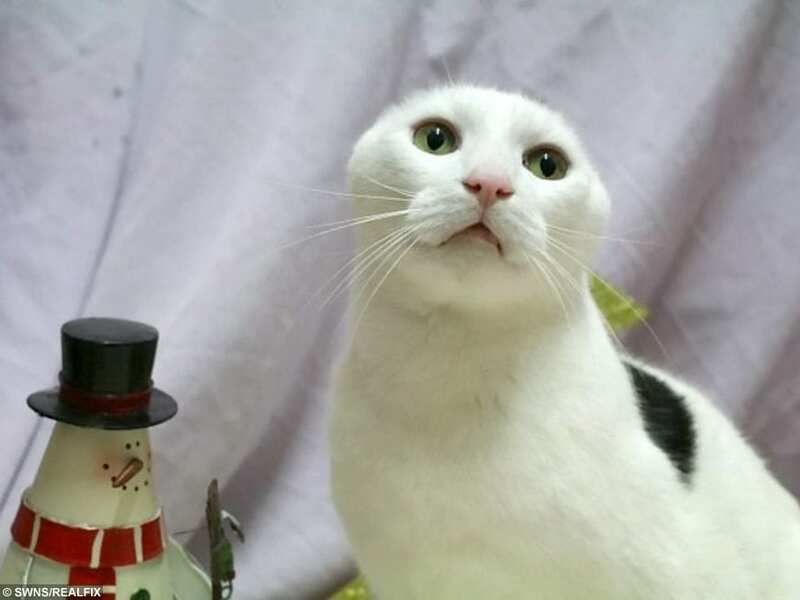 “Ross has a very unique look as he’s had to have both ears removed due to skin damage. “He enjoys snoozing with his mum and enjoys a gentle fuss while Rachel loves head rubs and tasty treats. Rachel (pictured) has lost the sight in both of her eyes and is around 13, meaning she is one of their ‘golden oldies’ and needs a loving indoor home with plenty of cosy corners to curl up in. Tony Shaw, deputy manager at South Godstone, said: “These poor cats haven’t had it easy and the mum is approaching her senior years. 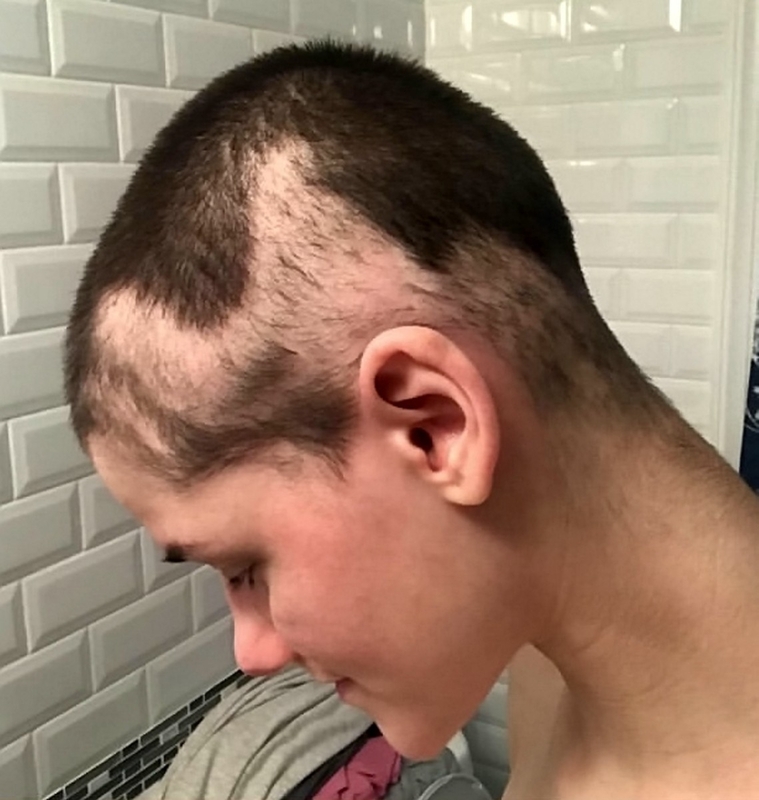 “We believe Rachel is 13, if not older, and has completely lost her sight. While poor Ross, who is around five-years-old, has had to have both ears amputated. 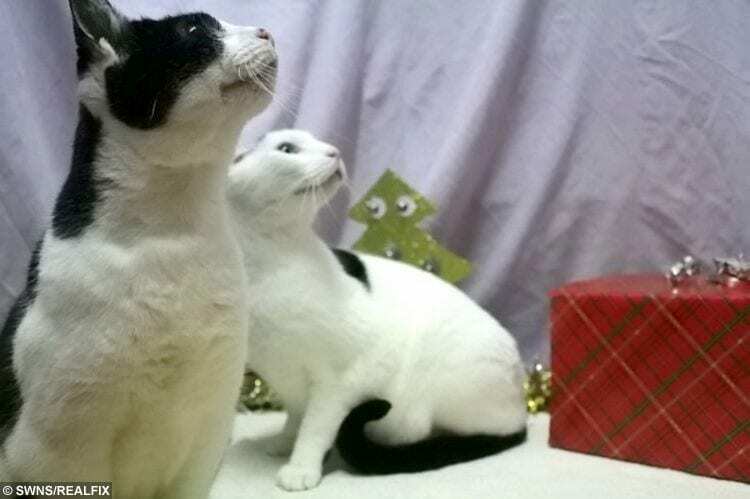 “Therefore, these two special cats require a very special home with owners who will understand their needs.